5. Press P- P- P+ P+. GOtv is one of the leading digital Pay-tv service in Nigeria, according to many subscribers, they are very affordable and they offer quality services. But unfortunately, some subscribers have complained about experiencing disruption in viewing and getting an E-017 error message displayed on their TV screen even after subscription dues have been paid. This is a technical problem that happens when their system fails to detect your payment on time, if you are experiencing this problem or know someone who is, this information I will be discussing in this post should help solve the E-017 Error Message. Send a reactivation SMS to GOTV customer care. The message would contain your IUC Number and should be in this format, RESET IUC NUMBER to 4688 for example Reset 2004018690 t0 4688. Note that your IUC number is the 10 digit number located under the decoder. For quicker response, it’s advised to send this message during office hours (9am-5pm). Gotv subscriber have the option of solving technical difficulties such as this online via the SelfCare portal. 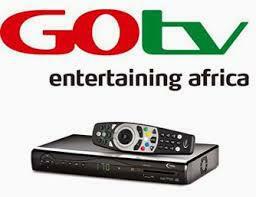 To fix GOtv E-017 Error Message subscribers should simply log on to http://eazy.gotvafrica.com/wap and click “Clear Error Code”. This will now display a page prompting you to enter your Mobile Number and IUC Number. This should definitely solve the issue. Note that you can also make use of other features on the self-care portal such as “Manage Subscription”, “Activate” and so on. This method has proven to be the most effective so far.